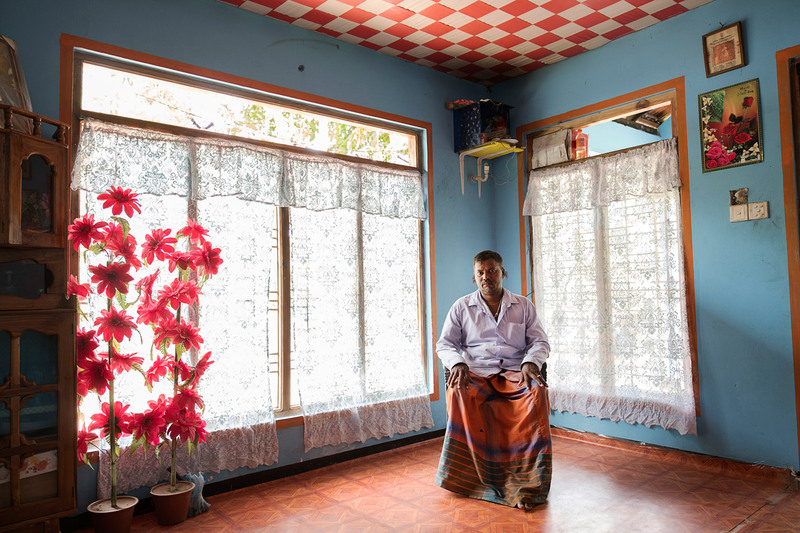 Suffering through nearly three decades of bloody secessionist fighting, Sri Lanka endured unrelenting hardships for the population, environment, and economy. But although the civil war ended in May 2009, the nation still faces a fierce battle. Like many other countries around the globe, Sri Lanka is going up against a seemingly undefeatable foe – Chronic Kidney Disease of nontraditional causes (CKDnT). Because CKDnT’s greatest impact globally has been on agricultural workers, suspicions of chemical toxins, dehydration, contaminated water, and extreme working conditions have all been postulated as some of the contributing factors to the disease. Since 2013, I have made 5 trips to Nicaragua and El Salvador to document the disease among sugarcane workers, where more than 20,000 have died or contracted this disease. With a grant from Baie de Saint Brieuc, I plan to produce further documentation of the global CKDnT epidemic by focusing on the disease’s impact in Sri Lanka. My goal is to intimately illustrate the multigenerational impact of CKDnT, and to bring the plight of agrarian communities and the workers’ lives into worldview. Similar to Central America in both the lush, gorgeous fertile land and the often-blistering heat, Sri Lanka’s North Central Province (NCP) has seen a surge in CKDnT since the disease was first detected here in the 1990s. Endemic to areas where agriculture is the principal occupation, this enemy, known locally as “Rajarata Kidney Disease,” has already killed more people in the NCP than the total number of deaths from one of Asia’s longest lasting armed conflicts. Today there are an estimated 69,000 cases of CKDnT on the teardrop shaped island. Sadly, sympathy and support owed its sufferers often yield to indifference as political and economic interests shroud this vital health issue. As in other countries that share both the CKDnT epidemic and the apathy towards its victims, Sri Lanka must make this unexplained, fatal illness one of its most urgent environment-related national health issues. With environmental sustainability and human welfare lying at the heart of current social movements, understanding and eliminating this mysterious killer is of global concern. 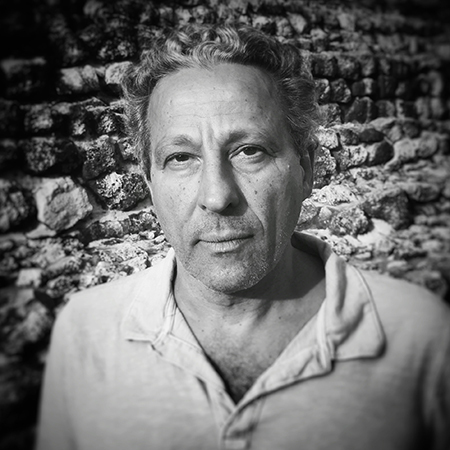 Ed Kashi is a photojournalist, filmmaker, speaker, and educator dedicated to documenting the social and political issues that define our times. A sensitive eye and an intimate relationship to his subjects are signatures of his work. As a member of VII Photo Agency, Kashi has been recognized for his complex imagery and its compelling rendering of the human condition. Through his photography and filmmaking, along with his work as a mentor, teacher and lecturer, Kashi is a leading voice in the photojournalism and visual storytelling community. Kashi’s innovative approach to photography and filmmaking has produced a number of influential short films and earned recognition by the POYi Awards as 2015’s Multimedia Photographer of the Year. Kashi’s full embrace of technology has led to creative social media projects for a range of clients including National Geographic, The New Yorker, and MSNBC. From implementing a unique approach to photography and filmmaking in his 2006 Iraqi Kurdistan Flipbook, to revolutionary Instagram coverage of Hurricane Sandy for TIME Magazine in 2012, Kashi continues to create compelling imagery and engage with the world in new ways. RAF	P.D. Kumaraskinghe, 47, has had CKDu (chronic kidney disease of unknown origin) for 3 years but still works on his rice farm when he feels up to it. 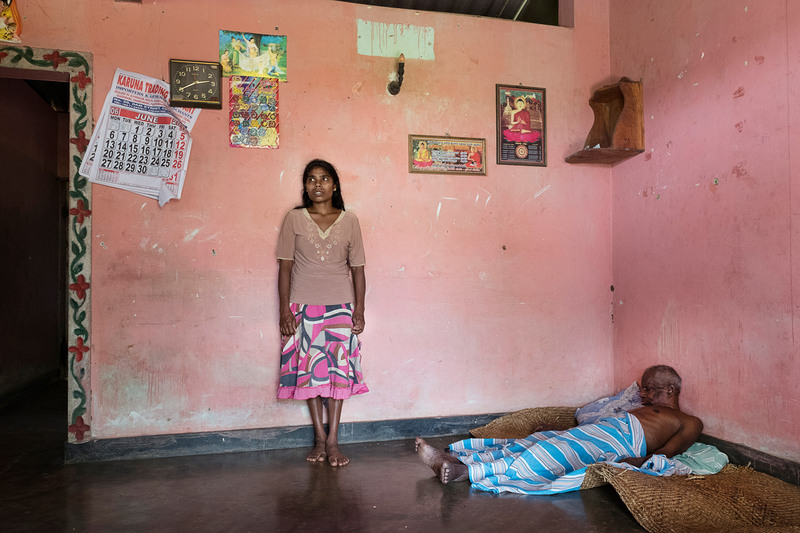 Here he is with his wife, A. G. Pushpangani Mangalika, 45, and one of his 4 children, Nimamesha Lakmali Pushpukamari, 23, in their home in Aluth Oya, Dimbulagala district, near Polonnaruwa, Sri Lanka on June 30, 2016. 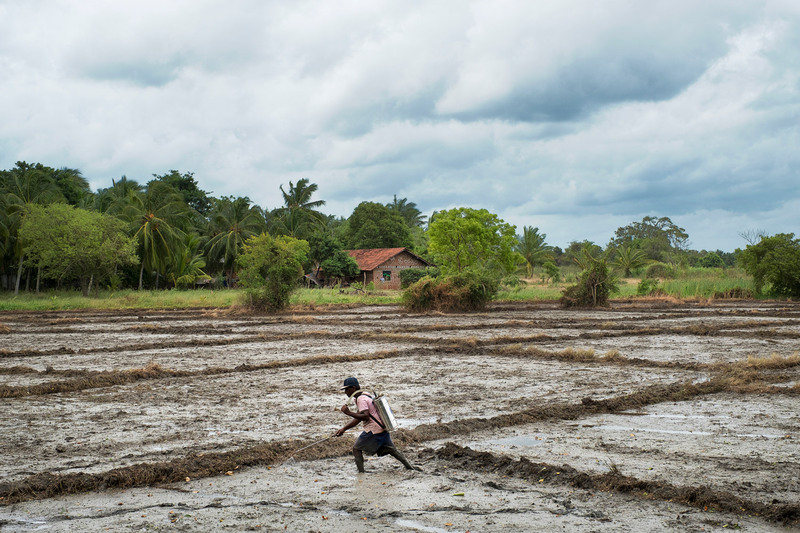 In the village of Kongahanagama, in the North Central Province of Sri Lanka, a farmer sprays herbicide on his rice fields, as he prepares them for planting, on June 28, 2016. Pesticides are considered one of the prime causes of CKDu Chronic Kidney Disease of unknown origin), a disease that afflicts primarily agricultural workers in hot, poor countries. K. A. Sureky Adman, the elder daughter, 40, of V. Aushadahami, 74, who was a rice farmer and has suffered from CKDu (chronic kidney disease of unknown origin) for decades. He is now incapacitated and requires constant care by his family, in Billewa, Sri Lanka on July 4, 2016. His wife is H. Anulawathi, 59, is also disabled.